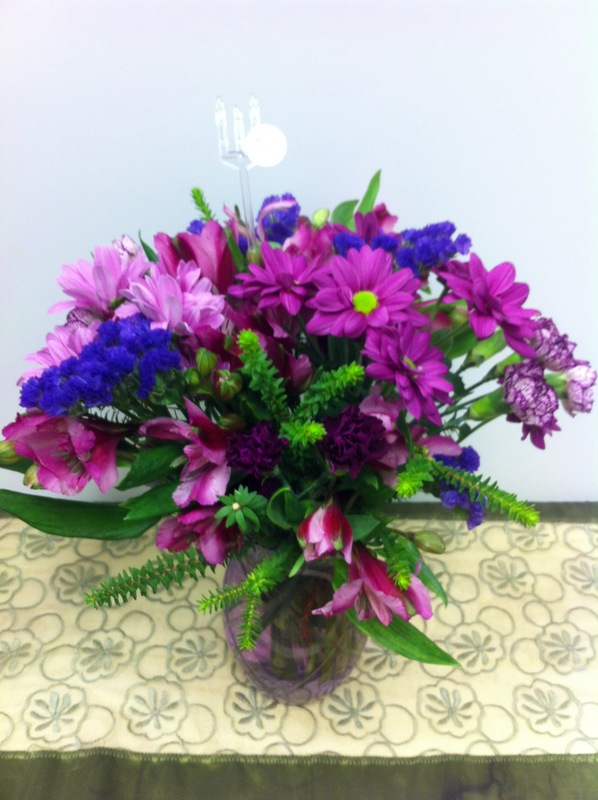 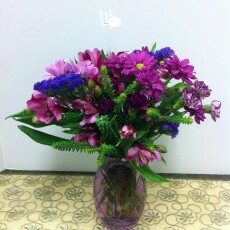 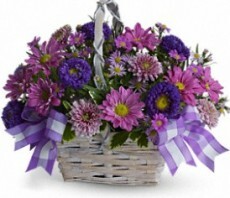 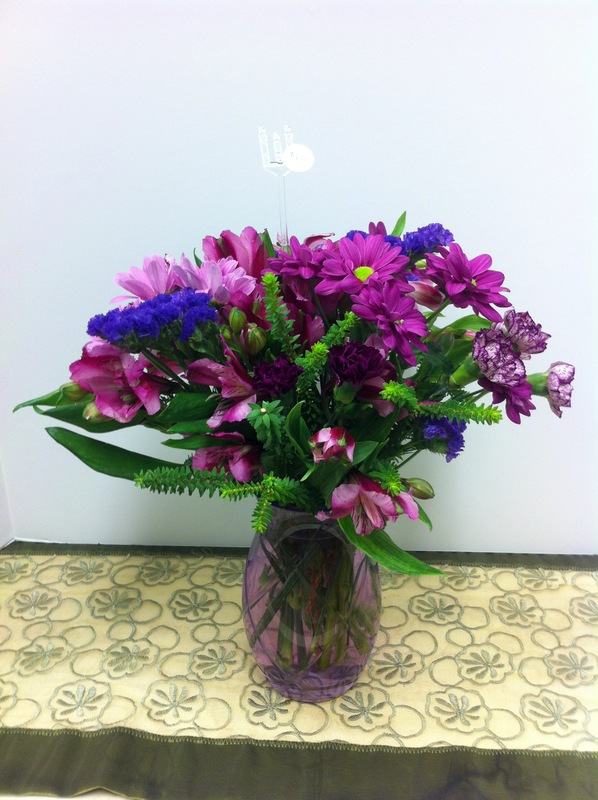 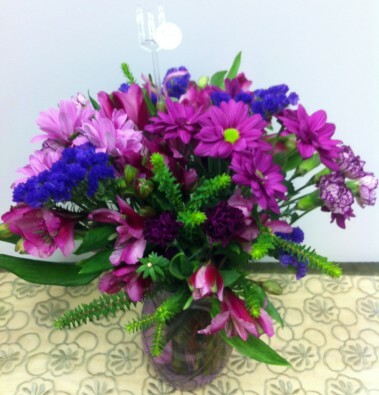 A cheery arrangement of daisies, alstroemaria, statice, and assorted greens in a purple glass vase. 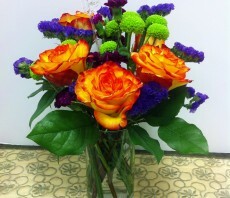 Medium and Large sizes consist of more stems. 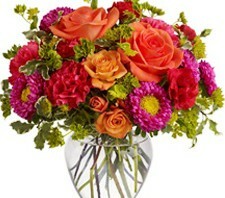 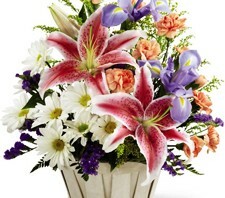 Arrangements will be as similar as possible based on flower availability and season.